Very rarely will I tell a runner they need to take some time off. In fact, the majority of running injuries I see in my practice respond to simple changes in intensity and training patterns. 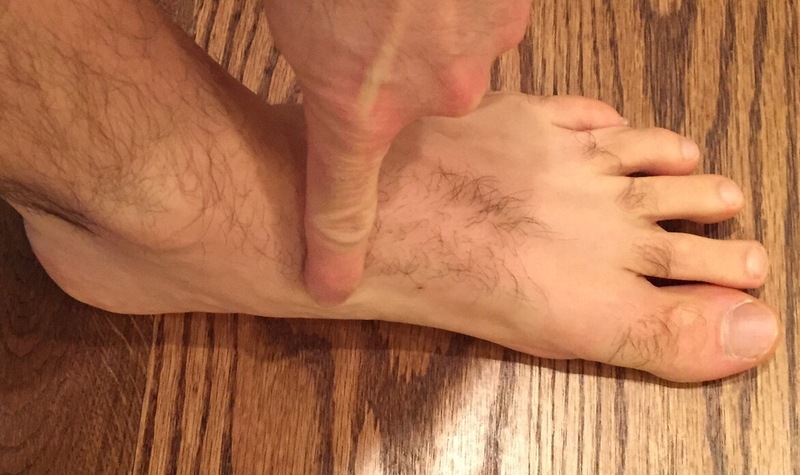 Here is an example of a patient who recently came in with a one year history of pain to the region of his midfoot which had gradually worsened until he reached a point where running was not fun and was nothing more than painful. 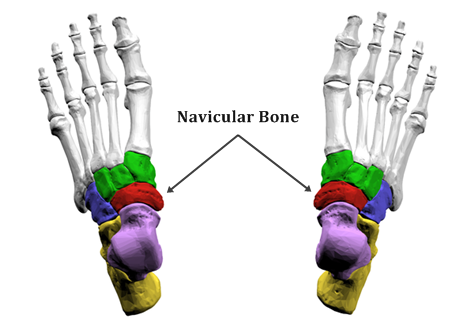 Pointing to region of pain over the navicular bone. 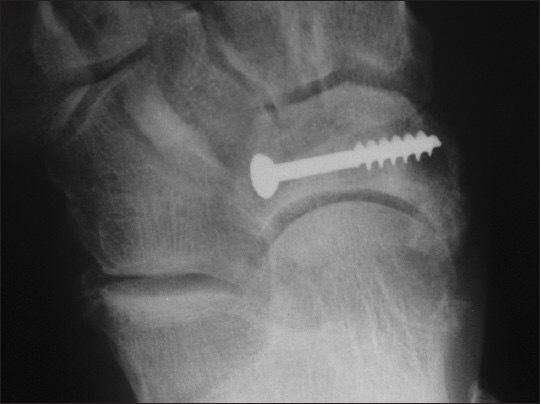 Screw placed through a fracture of the navicular bone. 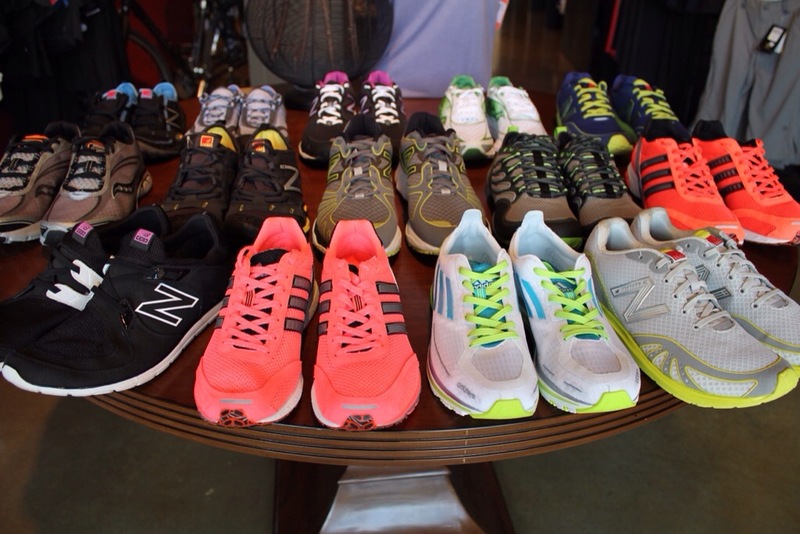 His half marathon time had slowed approximately 20%. X-Rays were negative so an MRI was ordered. The arrow points to the fracture of the navicular bone. As demonstrated below, the MRI revealed a stress fracture through the navicular bone which is located on the inside of the midfoot or arch. These can be long recoveries if not treated with rest and immobilization. Sometimes they can go on to non unions if not treated and require surgical correction by currettaging out the fracture site, packing with demineralization bony matrix and fixing with a screw or plate. As you can imagine most of us would want to avoid the latter. In this case we will treat with rest and immobilization and as pain improves we will start running on a zero-gravity treadmill and slowly progress as tolerated. Serial radiographs will also be performed but it’s difficult to appreciate any healing on x-rays. The x-rays are still ordered to look for signs of an avascular necrosis or “dying” of the bone. Thanks for reading! Have an injury you want to discuss? Reach out in the comments below. Thanks for this case study! I was wondering what do you mean When speaking about ‘zero-gravity treadmill’? Is it a treadmill with a harness? ?